American bluesman, educator, songwriter and scholar Fernando Jones held his 5th annual Blues Camp July 13 - 18. The camp is free for student musicians ages 10 - 18 and all instruments are welcome. 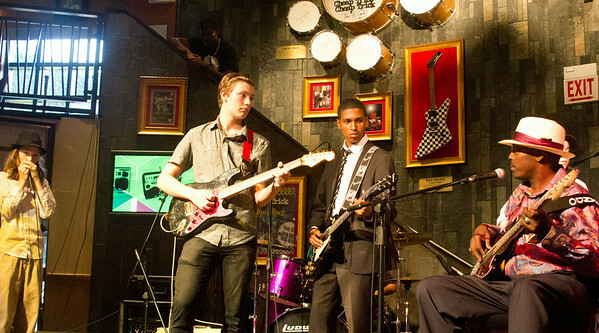 The Blues Camp is part of the Blues Kids of America, a multicultural, interdisciplinary artist-in-residence music program founded by Fernando Jones. The Blues Kids Foundation, a 501(c)(3) nonprofit charity, provides scholarship tuition waivers for all of the musicians who attend the Blues Camps.